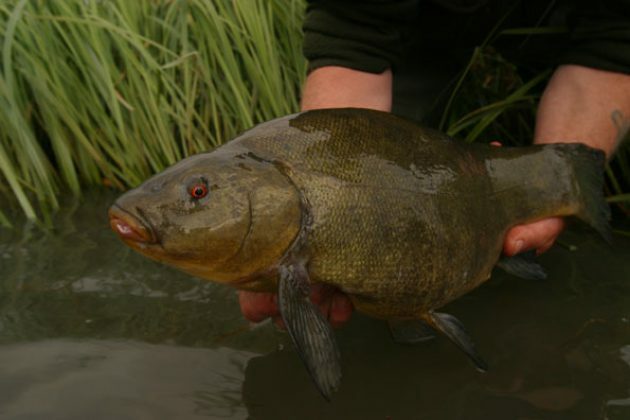 May is traditionally the month when tench fishing really begins to take off, and although it is still early doors there were signs last week that the fishing was beginning to pick up. Twyford angler Jon Shephard tackled one of his local gravel pits, arriving well before first light to have his baits out for that vitally important dawn feeding spell that is so characteristic of early season tench fishing. Presenting a feeder packed with brown crumb, liquidised sweetcorn and red maggots Jon fished a couple of maggots on a size 12 hook to a 6lb hook length and 8lb main line to the back of a bed of fresh weed at a range of 40m and after several casts to the clip to get some feed in the area he settled back with a cuppa to await developments. We all know that pouring a cuppa is ‘always’ guaranteed to bring a bite (so often the only bite of the day too…) and Jon spilled his coffee as his bait was taken within seconds of it touching down! The result, other than a wet lap, was a lovely early morning fish of 5lb 14oz. Thankfully for Jon this wasn’t the only bite of the day and he backed his first tench up with a male fish of 5lb 4oz and then the best of the day in the shape of a lovely female fish of exactly 6lb before the activity slowed up. An interesting experiment from Thames Water at Farmoor was designed to get more coarse anglers into trout fishing. 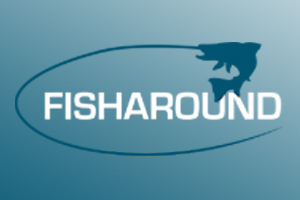 For May only Thames Water’s flagship trout fishery at Farmoor Reservoirs will allow coarse anglers the opportunity to fish the fly with their coarse fishing gear. The aim is to help anglers understand how artificial flies really do work for trout and, hopefully, to enjoy some terrific sport in doing so. Anyone taking part in the promotion will be invited to a free fly casting lesson at the end of May and have an opportunity to purchase a discount fly fishing kit as selected by the Farmoor Ranger team.